International schools company Sabis Education Network is opening its first school in Kenya, following a $20 million investment. 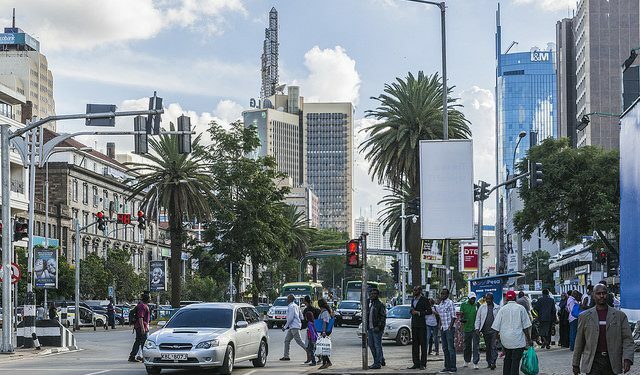 The school in Nairobi is seen as an attempt to to gain a foothold in Africa, where an appetite of international curriculum at all levels is growing. The Beirut-based company is opening the school, its first ever in sub-Saharan Africa, in partnership with Nairobi listed company Centum Investments. The first cohort will begin studying in September. Sabis International School Runda will be established in the capital city’s outskirts, complete with a kindergarten, a lower school, an arts centre and an administration block. According to Sabis group president, Carl Bistany, the school will provide a GSCE and A-level model of education. “We believe that students in Africa want to compete globally, hence the idea of opening a world-class facility in Kenya which will prepare them to work or do businesses anywhere in the world,” he said during the launch of the Nairobi project. It will be the first of a number of schools Sabis will open in East Africa before opening more in Egypt, where it already operates two schools, as it seeks to take advantage of an emerging middle class across Africa. “On 1 July 2015, Centum, SABIS Holdings and Investbridge Capital signed a Memorandum of Understanding opening the way for construction of twenty K12 schools throughout the African continent,” said a post by the Kenyan company, Centum. “The Cost of each school is estimated to be between $20 million to $30 million, the aim is to provide affordable, world class education to the African market… The consortium intends to build its first school in Kenya before expanding to Uganda, Tanzania, Egypt and other viable African markets,” added Centum. The school will seek to take advantage of a relatively large expatriate community in Nairobi that includes the global headquarters of two United Nations agencies, UN Habitat and the UN Environmental Programme, all located in the neighbourhood of the school. It will however face competition from established elite schools including Braeburn , Breaside , Brookhouse, Hillcrest Schools, GEMS Cambridge International School, Peponi School, German School of Nairobi and Lycée Denis Diderot, among others.